What is reefing, and why should you do it? When should you reef your sail? Do you really need to reef your sails? Unless you want to capsize, then sometimes you need to consider reefing. In strong winds, dinghies can become overpowered. While you won't see much reefing going on in racing, for pleasure sailing it reduces the risk of capsizing in stronger winds than you normally would sail in, by reducing the sail area, and therefore the power in the sail. There are three different types of reefing on dinghies; roll reefing (around the boom), slab reefing, and foil reefing (around the mast). This is for boats that are unable to be slab reefed due to a lack of reefing points or eye holes in the sail. This can only be done on aft-main boats, since on centremain, the mainsheet assembly stops you. First, the kicker must be unlocked, and the kicker attached to an end of the sail bag. The sail bag then needs to be rolled around the boom within the sail. 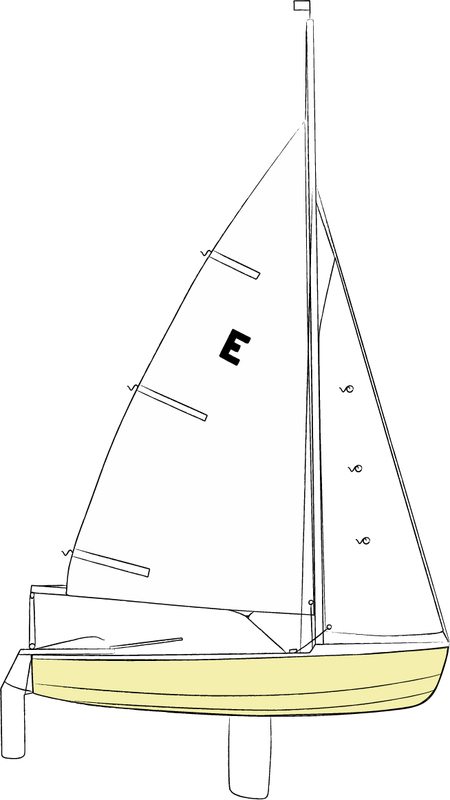 The mainsheet should be detached, untwisted from around the boom, and then reattached. The outhaul should not be altered, unless there is an eyehole in the sail that can be used to attach it to the sail. This involves first lowering the sail, taking a portion of the sail (i.e. a slab) out of use, and securing it out of the way. 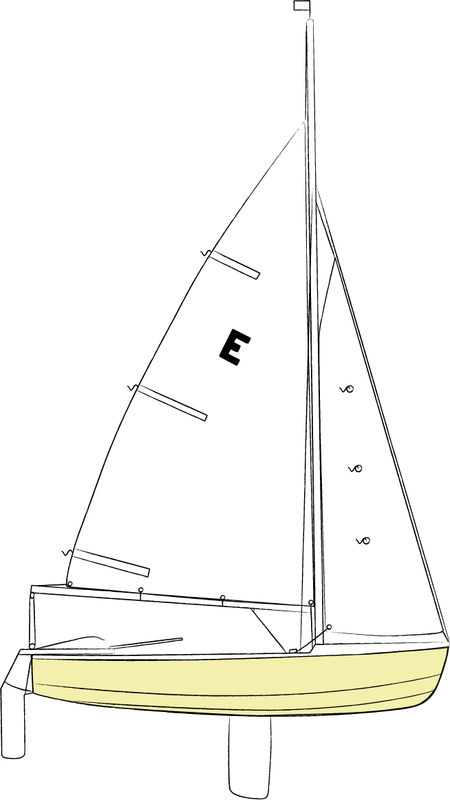 Sails suitable for slab reefing will either have one or two rows of reefing points (small pieces of rope tied along the sail) or cringles (reinforced eye holes in the sail to tie a rope through). These ropes should be tied around the boom to secure the sail. Some newer boats have a zip instead of reefing points, and a matching zip point on the foot of the sail, to zip up and remove part of the sail. 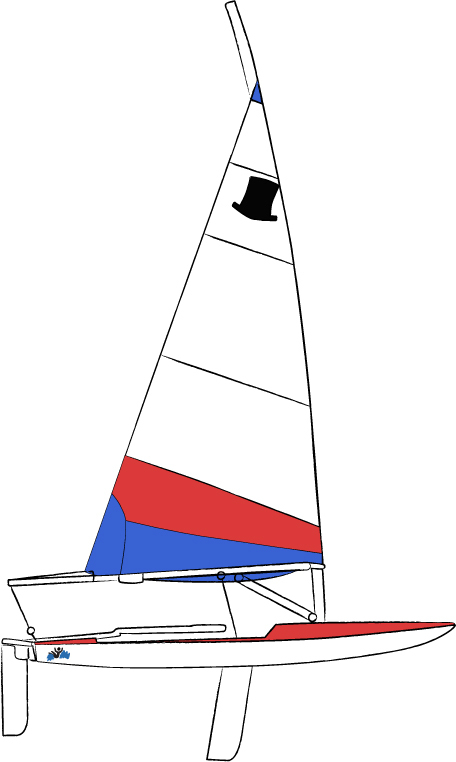 Foil reefing is only possible on dinghies with unstayed masts (that is, no shrouds or forestay or aftstay to hold up the mast), which will usually only have a mainsail. This method of reefing is popular on lasers and toppers. It is easier to foil reef a sail on dry land. First, detach the downhaul, clew tie down, and the outhaul. Take the boom off the mast, then, wrap the sail around the mast, making sure there are no creases formed, and there are no battens trying to be wrapped around the mast or break out of the sail. Then, when you feel it is of the right sail size for you (usually two turns), reattach the outhaul and clew tie down, the boom and the downhaul.